Degree-It! TM Model Motor Timing System! Have you always heard about "changing the timing" on your model motor but never knew how to go about it? Hyperformance Products has put together a package to assist you in doing just that! The Degree-It!TM Model Motor Timing System. The simple step by step instructions will walk you through checking the timing on any nitro-burning, glow model motor. Inboards & outboards are no problem. Gasoline motors can also be checked with the Degree-It!TM System (some modifications will be required). 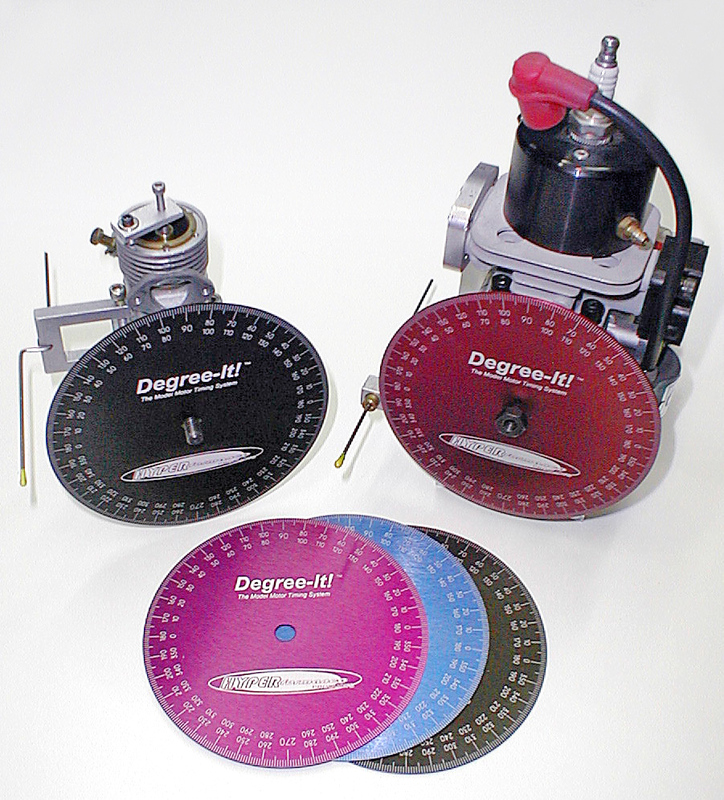 System comes with Degree-It!TM Timing Wheel, Pointer mounting Bracket, Pointer Wire, Sleeve Clamp, and Complete Instructions. A simple, fast way to know the numbers behind the operation of your motors for only $39.95* each!